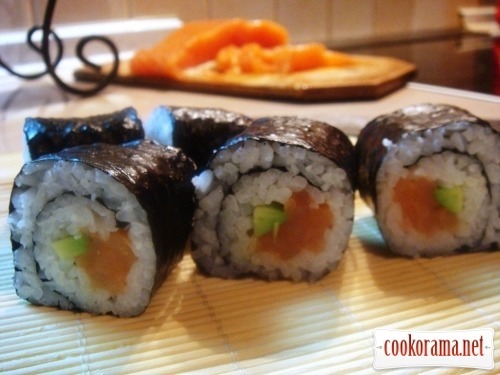 I won`t call this dish «classical», but… its sushi, and its rolls. 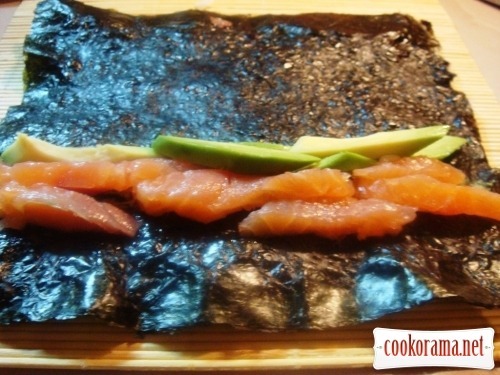 These rolls are with salmon and avocado. 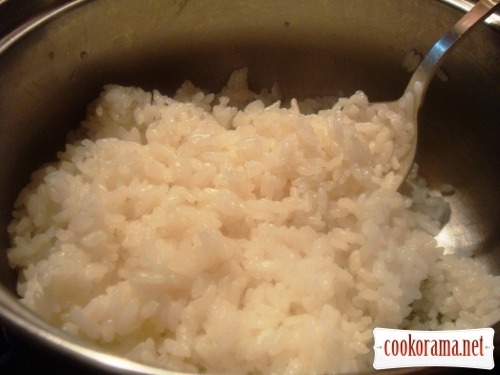 Boil rice with sugar and vinegar, I`ve read somewhere and boil for 15 min + 5 min witout fire covered with lid. 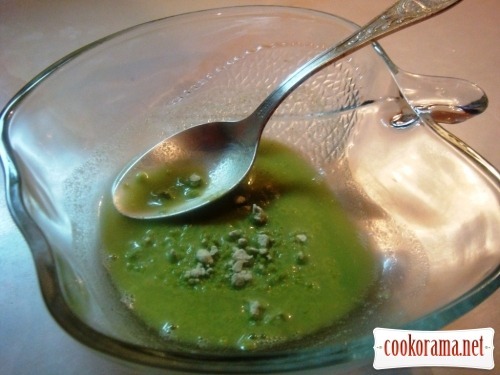 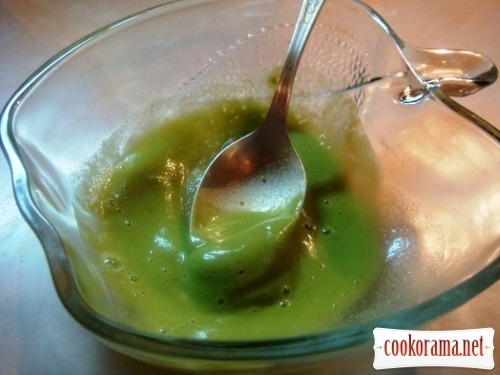 Make wasabi (powder type green mustard / horseradish with water). 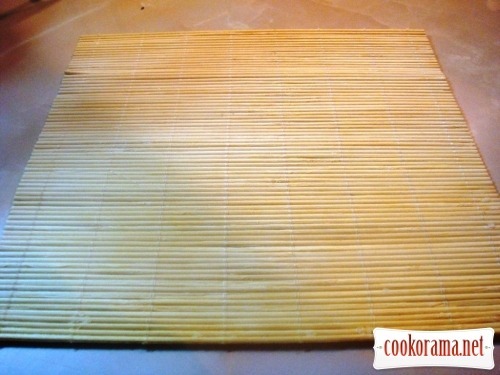 On a special mat for rolling sushi. 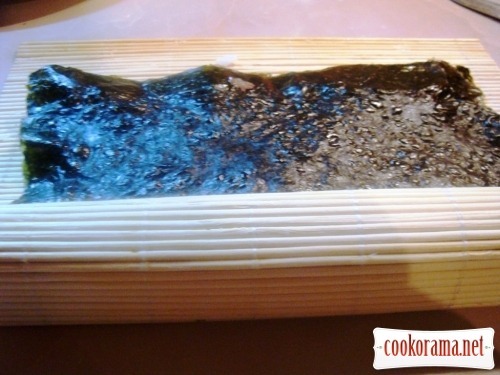 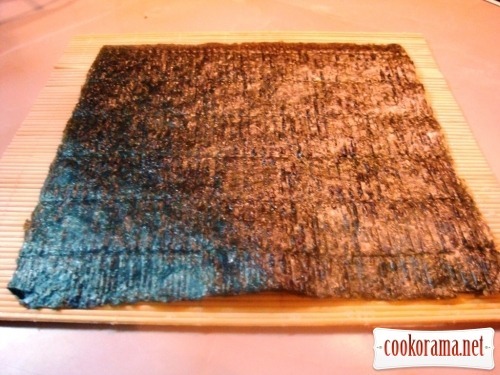 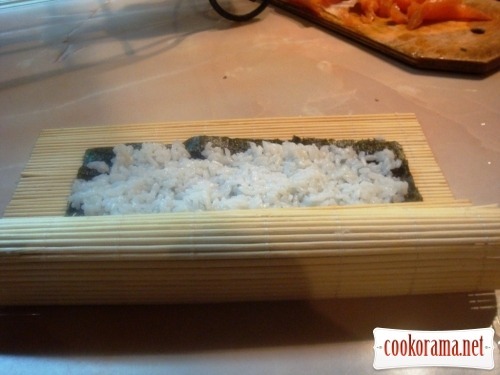 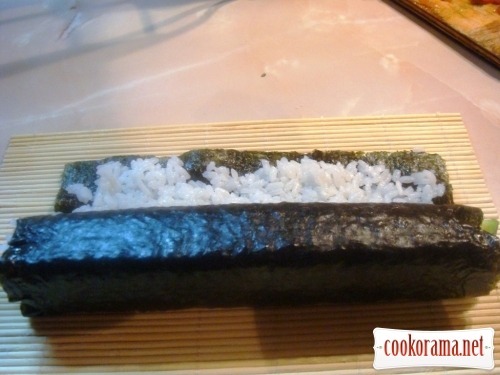 Put a sheet of nori (dried seaweed). 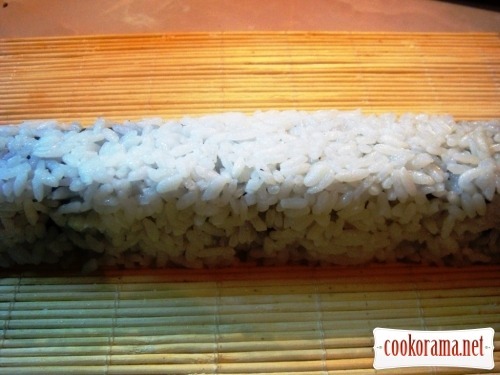 Spread the cooled rice, and wet hands with cold water — it helps. 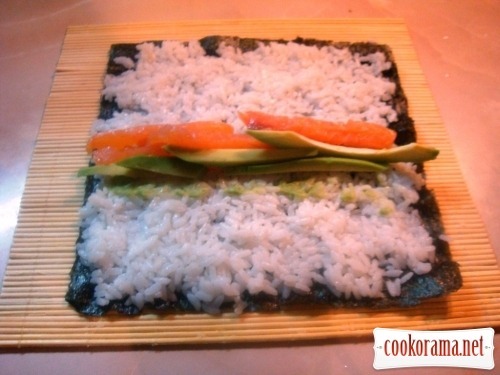 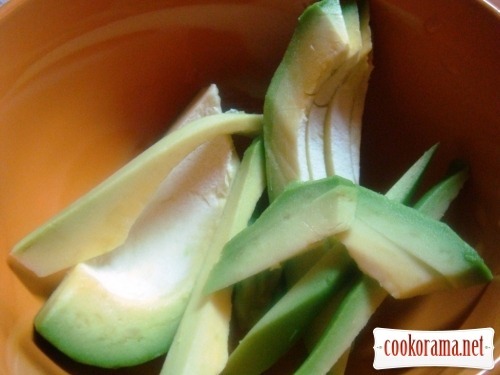 Then put stripes of fish and avocado. 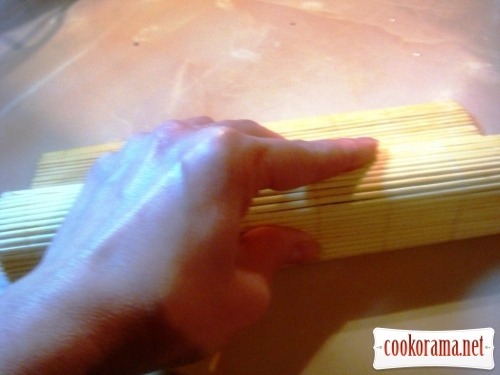 And pressing with fingers, curl roll like this. 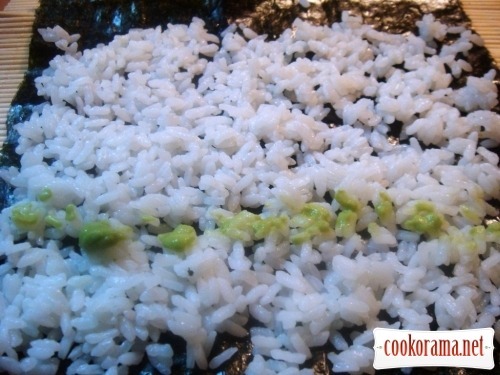 and each part of it in three. 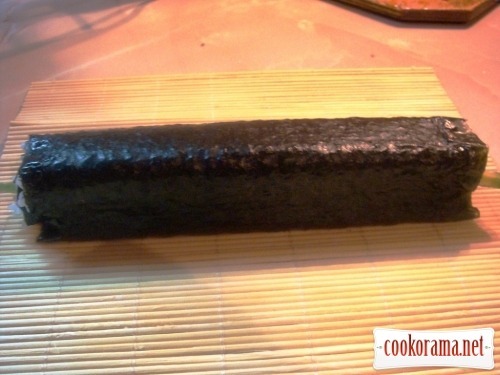 There also exist rolls «inside out», then turn over the nori with rice, and put stuffing on the nori, and then everything is the same. 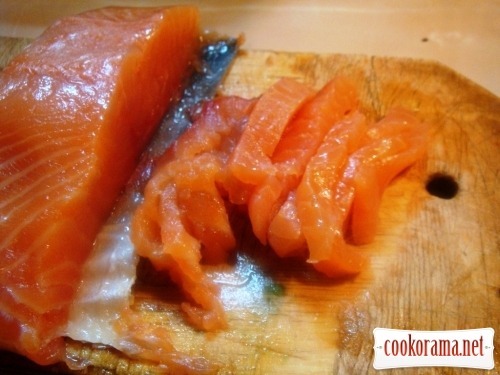 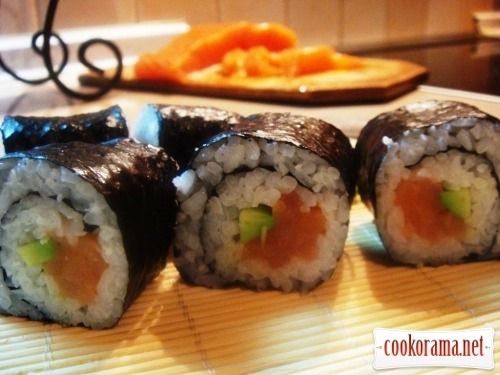 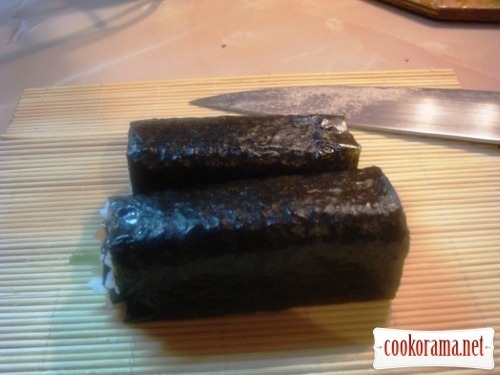 Top of recipe "Rolls (rolled sushi)"